According to CollegeBoard.org, the cost of books and supplies for the 2018-2019 academic year average $1,240 for public and private four-year in-state and out-of-state students. Here are some suggestions on how college students can defray this cost. The National Association of College Stores states in their “Student Watch: Attitudes & Behaviors toward Course Materials 2017-2018 Report” that 78% of all college students purchased at least one course material at a campus bookstore. Many campus bookstores offer specials like price matching, rebates, price guarantees, and buy now pay later options. They may also offer students a discounted price for reserving books early. Campus bookstores may coordinate their return book policies with drop class deadlines. There are no shipping fees. In addition, students can obtain their books immediately and do not have to wait for their books to arrive through the postal service. Many times, the faculty will arrange custom orders. The campus bookstore provides certain chapters of a textbook which saves the student money by not having to pay for the entire textbook. The ISBN is a 10 or 13 digit number that uniquely identifies the textbook. It is found on the first page or the back cover of the book. The ISBN number always starts with “978”. When buying online, you will save time and money by using a textbook search engine such as thebookrocket.com or bigwords.com. These search engines compare the prices of several online book retailers that carry your requested book. You will save money by renting your college textbook from an online book retailer such as booksrun.com. Booksrun.com may save you 60-70% off the textbook’s purchase price. By renting, you avoid the buy then sell back process. This process may result in low sell back prices due to a decrease in the book’s value. When renting, you pay a predetermined fee upfront which is significantly lower than the purchase price. Booksrun.com does not charge a shipping fee for the return of rentals. They provide a free shipping label and package tracking. Booksrun.com not only rents textbooks, they buy and sell textbooks also. They promise payment within 4 days by Paypal or by check. 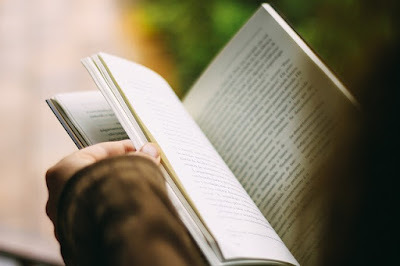 While a textbook is a physical paper book with a hardbound or paperback cover, the e-textbook is an electronic or digital format which is accessed using a computer, laptop, tablet, or e-reader. Investopedia.com reports that a textbook can cost as much as 60% more than the same book in e-text (electronic text) format. A student may save money buying the book in an electronic format as long as they have a device to access and read the e-textbook otherwise they will need to add the purchase price of an e-book reader to the bill. If the student is purchasing several e-textbooks, their e-book reader device must have sufficient space to store them. With physical textbooks, you must take the weight of the books into consideration when carrying more than one as they may be big, heavy, and bulky. With e-textbooks, you merely carry your device. Some textbooks may be stored on a USB flash drive. Once downloaded, e-textbooks cannot be returned. A physical textbook can be sold after the student is finished using it and it is in good condition. E-textbooks are good alternatives for students who are blind or have poor vision. E-readers may have accessibility features for these students such as screen readers or magnification features. Buying textbooks that are used can save you money. The condition of the book you receive may differ from how it is described on the website. The book may contain a lot of notes, highlighting, torn pages, or missing pages. Take measures to ensure that the edition you are buying is the correct edition. In 2015, NBCNews.com reported that the price of college textbooks rose 1,041% from 1977 to 2015. You can save money in different ways using the options discussed.